The best-kept secret to finding a budget NYC hotel is that there’s more to the Big Apple than Midtown Manhattan. New York City is composed of five boroughs: Manhattan, Queens, Brooklyn, The Bronx, and the often-forgotten Staten Island. Because it’s frequently overlooked, Staten Island lodging is significantly cheaper than other parts of the city. But it’s not just the reasonable rates that make the Staten Island Hilton Garden Inn a great choice for families visiting New York City. I had a chance to check out the Hilton Garden Inn in Staten Island when we were invited to participate in a Hurricane Sandy Relief Project last month. My husband and I stayed overnight, arriving early enough to enjoy a little R&R on the night before the big work project. 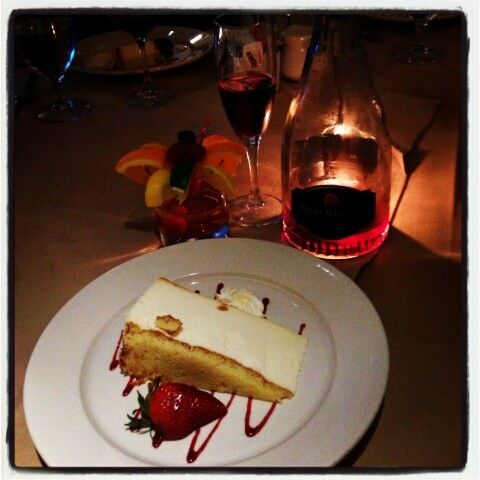 Classic combo: Junior’s Cheesecake and Rosa Regale Sparkling Red (Pink Champagne.) Dessert at Lorenzo’s Restaurant. Because so much is offered on site, this Hilton Garden Inn is a fabulous place to catch your breath when traveling through the urban Northeast. Plus, there are a few extras that make this an outstanding place for families venturing on cross-country road trips. 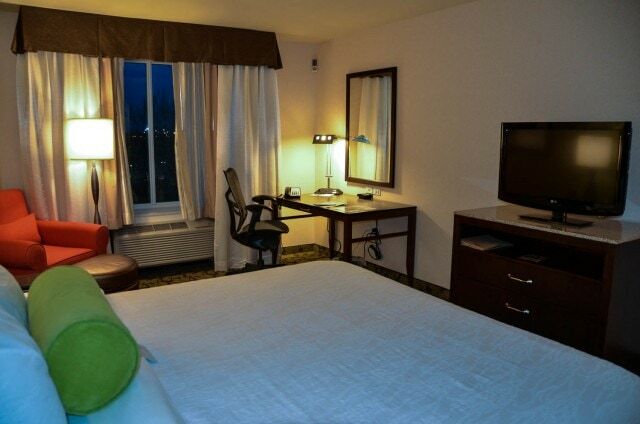 Rooms – HGI rooms are bright, spacious, and very clean. A flat-screen TV, iPhone dock, and plenty of plugs will satisfy all techie requirements. And families looking to cut costs will appreciate the kitchenette with coffee maker, refrigerator, and microwave. 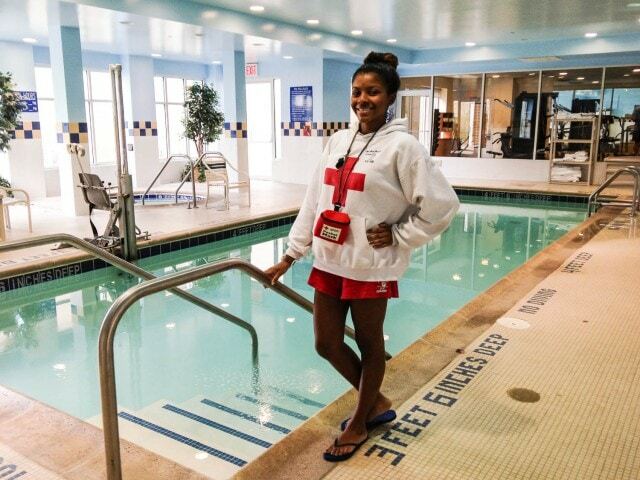 Pool – Pools are a rarity in space-strapped urban hotels, but this HGI not only has an indoor pool, it also has lifeguards on hand to help you keep kids safe. Parking – Free parking is almost unheard of in New York City, where rates can range from $30-70 per day. This alone will save you a bundle, not to mention the convenience of keeping your car accessible in the hotel parking lot. Shuttle – Reserve the complimentary shuttle to and from Newark Airport, the Staten Island Ferry as well as to and from the Bayonne Cruise Port. 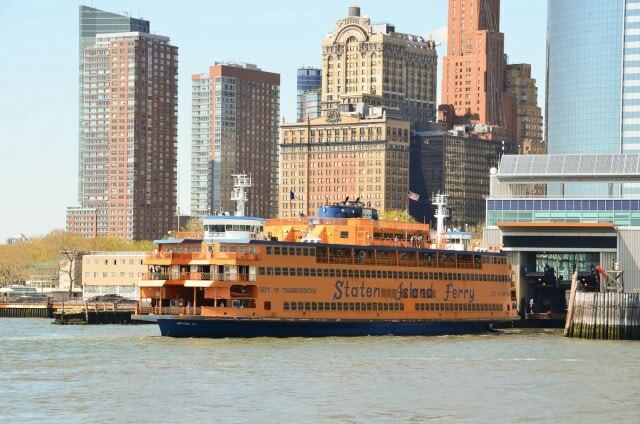 The 25-minute ferry service between Staten Island and Manhattan is possibly New York City’s best tourist deal as the FREE boat ride offers incomparable views of Ellis Island, the Statue of Liberty, and the Manhattan skyline. 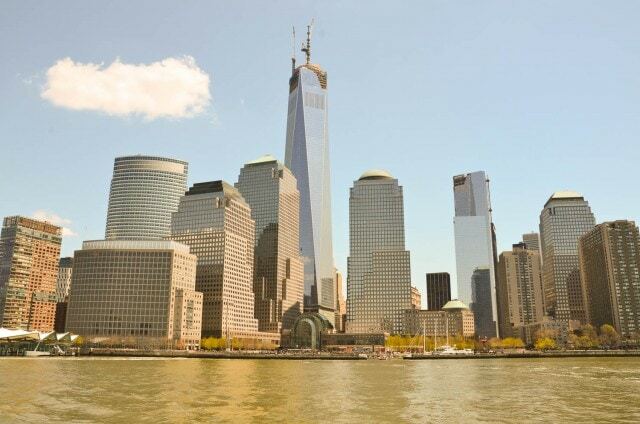 Can you spot the new Freedom Tower at One World Trade Center? Staying in Staten Island when visiting New York City with kids may not be what first comes to mind, but the comforts and cost-savings may be just what you need to make this the best family vacation. For more information and reservations, visit the website. Disclosure: AlbanyKid was hosted by Hilton Garden Inn and provided with complimentary meals and accommodation.